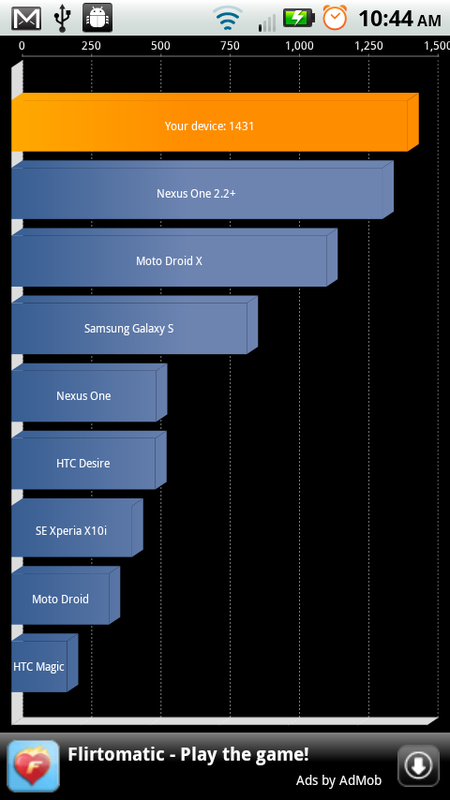 I know we just got done talking about Quadrant and it’s benchmarks which can be tricked pretty easily, but we couldn’t help but show you one on the Droid X running Android 2.2. After warming up for a good hour with Froyo on it, the DX blasted away all other phones. The Linpack scores on the other hand are not something to brag home about. For those with a DX that has been newly updated to Froyo, post your benchmarks in the comments! App Judgment Releases Android Rooting Video, Shows Droid Life!